As a resident of Northern Virginia for over thirty years, Randi brings strong management, sales and customer service experience to her career in real estate. Randi came to the Washington, DC area as an officer in the U.S. Air Force where she attained the rank of major. She then parlayed her extensive management experience into a twenty-year career in information technology sales consistently exceeding quota.Randinow offers her extensive business expertise to the residential real estate market by providing white glove service, well-honed negotiation skills and attention to detail,thus giving her clients all the advantages theyneed to sell and buy in this competitive market. Recently Randi was promoted to sales manager in the Reston Centre office because of her integrity and outstanding management and training skills. In addition to managing her prosperous real estate business, she will be training agents in the skills they need to succeed in real estate. 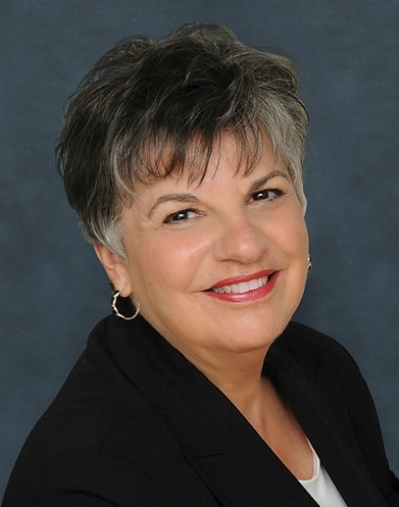 Randi specializes in marketing the homes in Oak Hill, VA where she has resided for twenty-four years. She is an expert on the many neighborhoods that make up Oak Hill; her son went to the schools there; and shewalks the trails winding their way through the woods in this lovely area of Fairfax County. Randi and her husband are now empty nesters enjoying the tranquility of their home in Oak Hill. If you are getting ready to buy or sell a home, consider Randi for your REALTOR! Experience, integrity, resourcefulness, great service. Beautiful craftsman home nestled in the foothills of the Blue Ridge Mountains along the shores of Lake Frederick. Located in the gated 55+ Trilogy Community this spacious home sits on a premium lot w/amazing scenic views of Lake Frederick and the Shenandoah Valley. Soak up all nature has to offer while relaxing on the 4 season, climate-controlled, sunroom with spectacular sunsets that must not be missed. This spacious home has an Open floor plan with over 4860 finished sq. ft of living space. 3 bedrooms each w/full baths. Master suite(main level) w/luxury bath, two walk-in closets. Gourmet Kitchen w/granite counters, breakfast bar, double ovens and breakfast bar. Large living room w/fireplace, hardwood flooring and vaulted ceiling. Formal dining room w/hardwood flooring. Upper level spacious loft. Finished WO Basement w/recreation room, bar, billiard room and craft room. Loads of storage. Walk to the lodge for exercise, dining and all the community amenities. Life's a vacation. Live it Lakeside!